As someone who does have the Patriot I can say it is a good tank. Is it OP? No, isn't. Firstly, almost everyone shoots gold at you which negates your "OP armor" although the upper plate does have the same thickness as the T32 and the turret is worse than on the T32. What makes the Patriot special in my opinion is the mobility and the penetration. It is pretty agile and it feels like a child of the Super Pershing (armor) and a standard Pershing (mobility) shooting slightly worse gold ammo from both as standard but with the same 240 alpha. 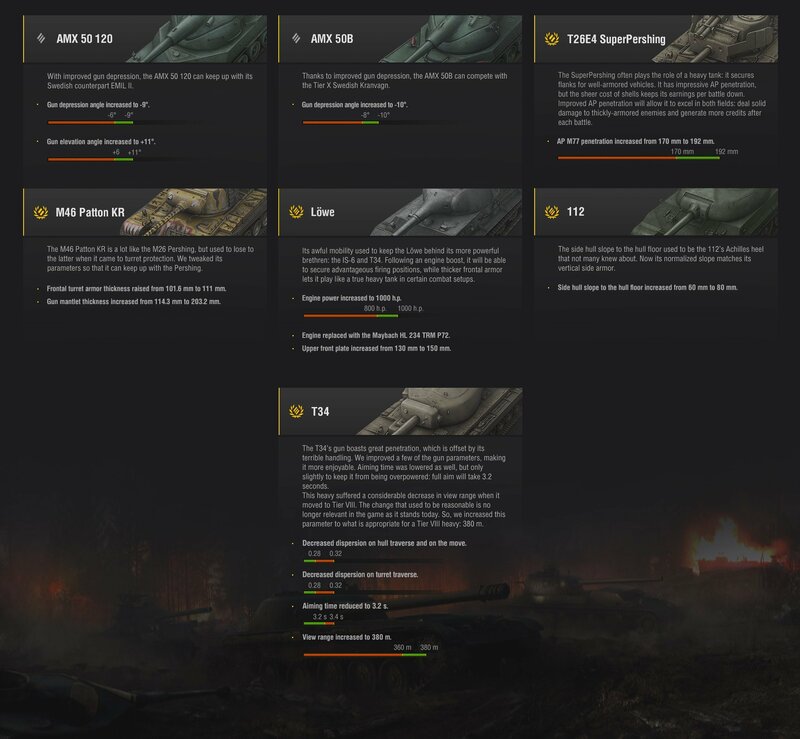 Is the Patriot the best tier VIII premium? Well, if you like the US heavy/medium tank play style than yes (at least for me) otherwise Lowe is better in almost every aspect but it delivers everything in a slower pace. Edited by radinko245, 28 January 2018 - 01:13 PM. Uhm the patriot has a stronger upper plate. Patriot has 152mm vs 127mm of the T32. Does tier 8 need re-balancing? The whole game needs to be re-balanced. Did you click on that picture before posting ? It says penetration increased by 22 mm. That would be a buff not a nerf.